I really prefer swimming in a swimming pool. No critters. No conveyor belt currents to the next continent. Never too far from any shore. But when I go to a beach and see beautiful water that looks relatively calm and clear, I usually decide to swim in it. Thus, early the next morning, I donned my favorite active bikini of 2016 and headed for the ocean before breakfast. My husband and my girl friend (wife of my swimming partner) were there as visual lifeguards on the shore. I confirmed with my swimming partner that it was not a race and we set off. Our estimate, based on measurements on Google Earth, was that 2 round trip laps were just under half a mile. The first swim, we only paused at the buoy long enough to touch it and say we were doing okay. I felt a little panicky in the deeper water at this farthest point, but all the training to swim with relaxed form and breathing paid off. I never got out of breath. Two days later, I completed one round trip lap before my swimming partner joined me, but again with my husband watching from shore. The water was a bit choppier and I felt more tired after the total distance. Still, another benefit of swimming in the moving water of the Fastlane was that I had very little trouble adjusting my head to breathe adequately. I still was not out of breath. My third swim was much more tiring due to large rocking waves that knocked my about. I struggled for any progress in the desired direction, even when I was swimming with the current. I took a few seconds more at the buoy, but being uncomfortable in the deep water, I headed back as soon as I felt I was able. 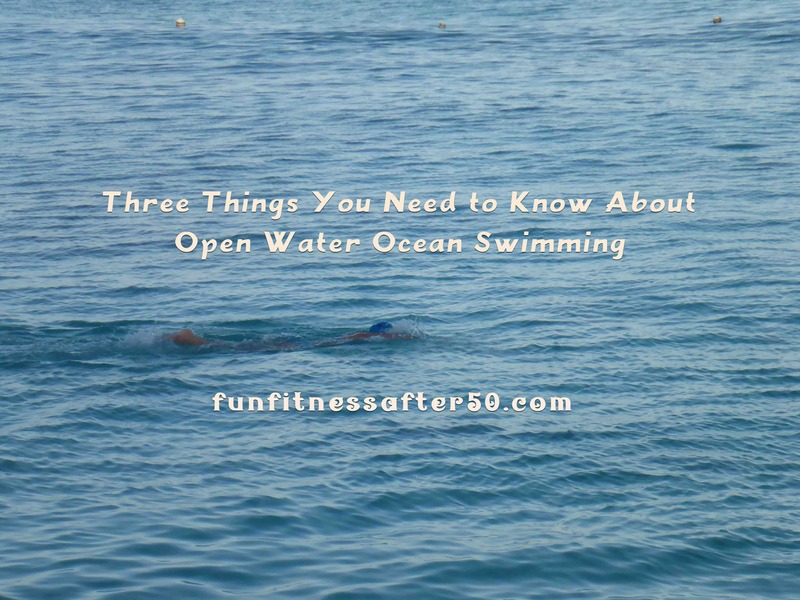 Three things that I knew about ocean swimming were even more deeply impressed on me from my experience here. 1. There are a lot of creatures living out in the ocean. 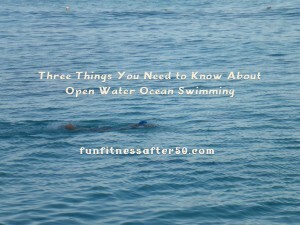 We all know this, but it is good to think specifically about it when entering the water. It can be unnerving to have things swim up and touch you. In this location, I was stung lightly by jelly fish a few times. The sensation was like multiple pin pricks and faded after a couple minutes, but I know there are more troublesome jelly fish out there. The fish that were used to being fed by the snorkelers tended to swarm around me in spots. Some of those fish were large enough to be creepy. There were lion fish around, mostly lurking in nooks and crannies, but my husband ended up too close for comfort to one while snorkeling. We saw the occasional barracuda, but none bothered us. 2. The ocean waves are unpredictable. No one knows for sure how violent they will be on any given day, thus it is basically impossible to plan a nice relaxed swim for a race or triathlon. It would be very difficult to swim in rough waves WITH other people thrashing around you in a race. If my third swim had been my first swim experience, I doubt I would have gone swimming there again, even with just me there. 3. Ocean currents are invisible threats. They can work for you or against you. It is important to learn what currents there are where you intend to swim. I had never gone swimming in such a distinctive current before. We were warned about this current just off shore from the resort. If a swimmer or snorkeler wasn’t paying attention, they might drift off to the middle of the ocean before they knew what had happened. As it was, we were able to use the current to our advantage. We planned our swim so that we swam out against the edge of it, then back in with the edge of it, but we stayed away from the end of the northernmost pier, where it was known to be extra strong. Some of the snorkelers used the more moderate sections of the current by walking south down the shoreline, then catching the current back to the hotel. My husband has requested that I wear something other than blue next time I am swimming in the ocean, so it is easier to spot me. At least a brighter swim cap! Given relatively calm conditions, I would go for an extended swim there in Cozumel again, or in any part of the ocean that I had learned enough about and/or had gotten to know a bit. I don’t think I will ever be as comfortable with being in wild waters as some people, but I expect the opportunity will always draw me in. Sometimes we have to take chances to enjoy life. 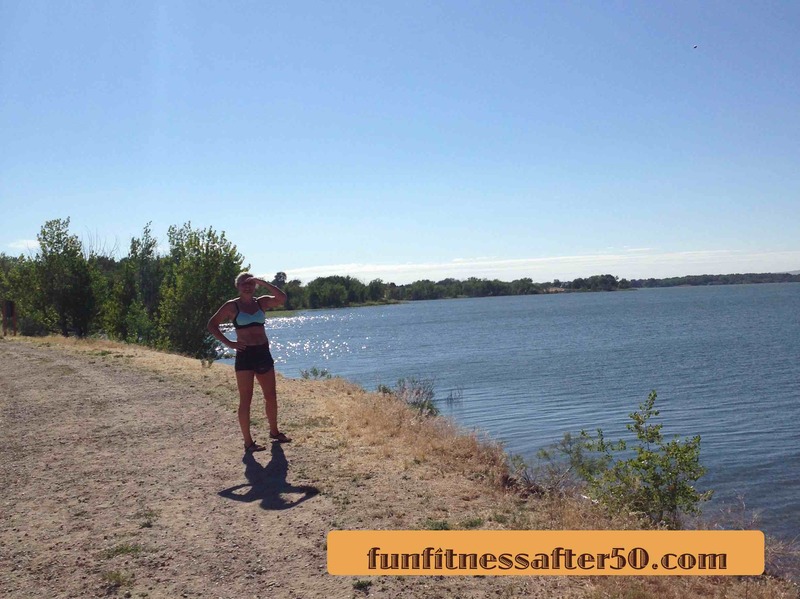 This trail borders one side of Lake Lowell, a man-made reservoir in my home town of Nampa, Idaho. 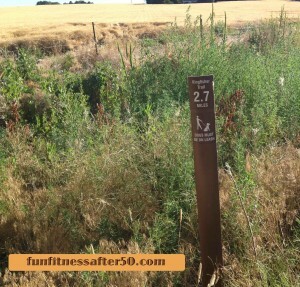 The trail is really more of a gravel road, with expanses of farmer’s fields along one edge and lakeside scrub brush and gnarly trees on the other. But, most importantly in this case, it has reliable markers every tenth of a mile. If you know what to look for. I wore my Luna sandals, which still gave me plenty of feedback from the sharp and unpredictable road gravel. My goal was to combine increasing speed with maintaining a smooth, floating form. Being able to feel the gravel helped remind me to stay light on my feet, minimizing impact. My husband reminded me that one goal of the intervals was to find a speed that felt somewhat hard, but could be maintained until the end of each segment. Also, it is best if the intervals are all about the same speed, which concentrates the effect to a level that can later be used for longer distances. For this first speed interval workout in quite a while, I decided to err on the side of a bit too slow, to make sure I wouldn’t pull any muscles. The .10 mile markers begin at the Kingfisher Trail trail head, which is just below a large, dirt parking lot. There is a wide spot in the road right at the sign, too, that is suitable for parking. If you are facing the road, Kingfisher Trail goes off to the left. 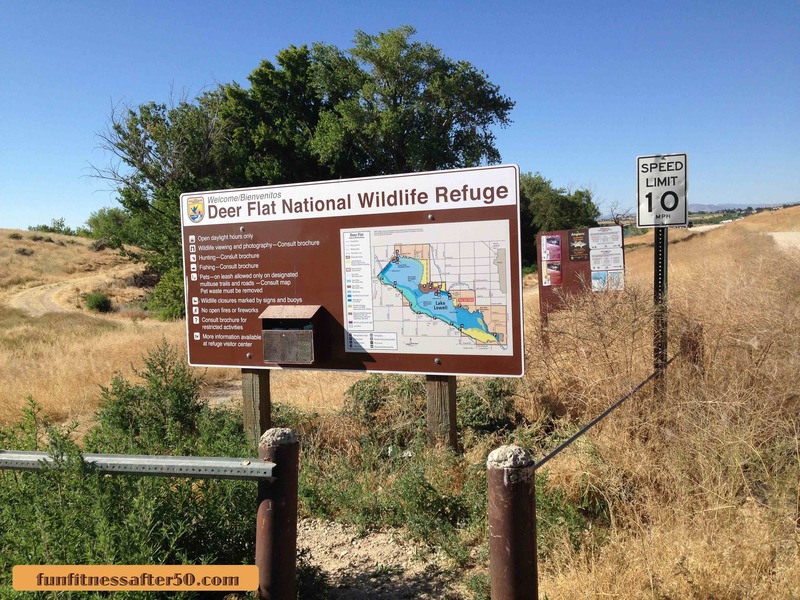 This sign is at the beginning of Kingfisher Trail. Lake Lowell is just beyond the trees, and the larger parking lot is up to the right (in the photo). The road is basically continuous around that side of Lake Lowell, but is designated as 3 separate trails. The one we ran on is the middle section. We began on its more western end, which can be found at the terminal end of Greenhurst Road. The trail/road is blocked off to normal traffic, however an Idaho Fish and Game truck needed to pass us during this run. They were very polite about it, and asked how far we were running so they could adjust their weed spraying to our convenience! One reason we started at this particular end of Kingfisher Trail is that the other end tends to have more issues with overspray from field sprinklers that time of morning. That other end of the trail/road begins at a paved parking area at the end of Tio Lane, a side street further east off of Locust Lane, which is a mile south of Greenhurst. The first portion of the trail there is also not immediately alongside the lake. All of it is considered Deer Flat National Wildlife Refuge. 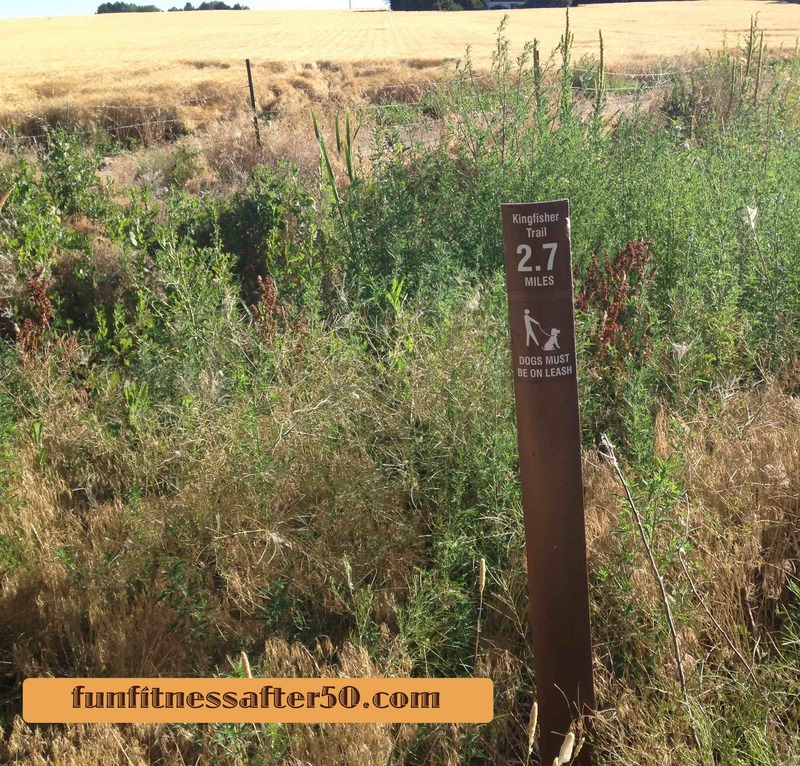 One of the Kingfisher Trail mileage markers around Lake Lowell in Nampa, Idaho. So, there we were, our Strava apps all synced and the sun shining. I was given a head start, as I am relatively slower than my husband. He was also just warming up at a relaxed pace, but soon caught up with me and began pointing out the mileage markers. Some were quite easy to see, sticking up far enough out of the bordering tall grass. Other markers were partially surrounded and shaded by thickets of shrubs. Once I learned how they looked different from the ubiquitous metal fence post, and got a feel for what a tenth of a mile felt like, I was able to find most of them on my own. I prefer doing speed workouts with distance rather than time. It is more motivating for me. I can get inspired to push myself just a tad more if I know the end of the interval is in sight. There is more of a sense of reward. Having the real-life markers meant not trying to listen for specific beeps on a gadget and added an element of gaming to it, since I had to scan the horizon for the goal. There is one benefit to not being the one in front. My husband always found the interval mileage marker first, then jogged back to meet me and cheered me on to the end. Of course, that also meant he got longer recovery times. This is a fact of life if I want to run with him sometimes, because he is just stronger and faster. Did I mention he always measures off the chart for maximum VO₂, for those of you who know about that? He wore his Garmin for timing his intervals. I did not. I really needed to go just by feel this first time, but I think I will try to use it next time, if I can do it without interfering with my effort. I can just see myself struggling to push the correct button and not getting any useful information, but ending up frustrated in no useful way. We turned around at the 3 mile point, which was conveniently at the end of a speed interval. The weed spraying was going on off in the distance, and I thought about trying to wave more thanks, but just got back to the workout instead. Something about catching my breath. Me, post-speed interval workout, enjoying the lake view. It is all about comfort for running attire. The hip bag you can just barely see in front is to hold my phone with the Strava app. Running smoothly means I don’t even notice the hip bag, since it isn’t flapping around. It was encouraging to note that at the end of the 6 miles, I felt like I could have kept going at my moderate, comfortable pace. I took that as a good sign that I didn’t over do it. I was curious to know what my legs would feel like the next two days, though, and that thought helped hold me in check from being cavalier about extending the total mileage. The next day, I ran about 2 miles. The day after that I ran 14 miles. The last run of the week, on Saturday morning, was also 2 miles. All of these runs were at an easy pace. I was tired, but nothing was strained or achy. We even went out for a bit of dancing on Saturday evening. Full disclosure is that I ended up needing a lot of sleep over the weekend, including a couple good naps. The real surprise came when I ran my first run the following week. For reasons that I won’t go into now, I was a bit on the agitated side for that Monday’s run. I knew I was going out a bit fast, but I also knew I was within a pace that my legs could handle for a little while. So I proceeded. As it turns out, I ran all 8.1 miles about 45 seconds per mile faster than I had been regularly doing for this distance. 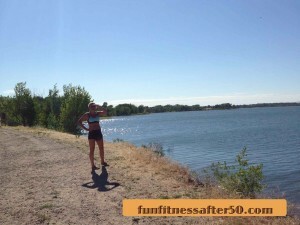 I did not feel like I was straining to breath while running, nor did I feel wiped out after the run. I definitely felt like I was trying, and I don’t think I will be maintaining that level of effort for every run, however, it was inspiring to see what I was capable of while still not having any sore muscles the next day. I’m going to say the speed workout was at least part of the reason this happened. 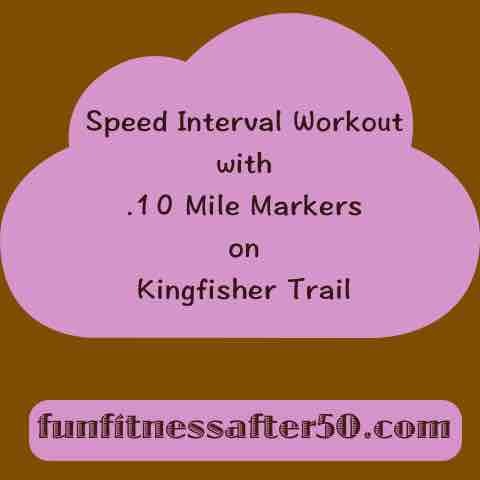 The plan is to use Kingfisher Trail for regular speed interval workouts for a while. We are signed up for the FitOne half marathon in mid September, in Boise. We might as well put our best foot forward. I plan on running the race barefoot and having fun at the best speed I can. My husband’s main goal is always to try to beat all the women. I think we both have a good shot at meeting our goals. 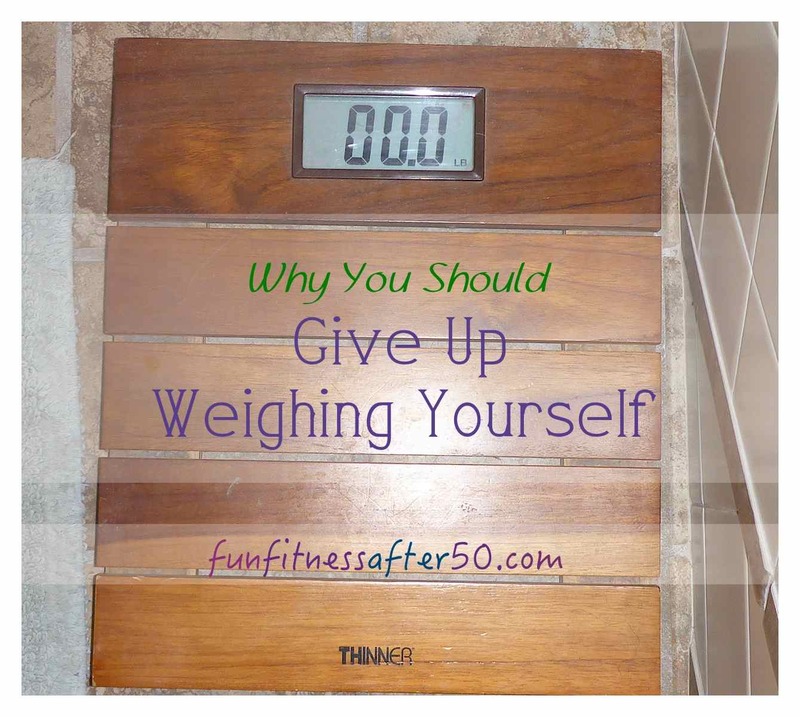 Too many people are overly concerned about how much they weigh. Somewhere along the way, the idea took root that weight is an important and reliable indicator of health. I disagree that this is valid for most people. There are too many other factors that are much more important than some fashionable or statistically questionable perfect weight. The fashionable aspect of weight is not only suspect because it changes with historical time periods and culture, but because it is skewed by photography and misunderstanding variations in body types. Throw in the inconvenient fact that bodies change over time due to things like function (i.e. pregnancy) and aging (there are changes with nearly every age – we are not just talking “old” age here), and the attempt to decide on a “perfect” weight becomes even more illusive. Or it should. I even suggest that when most people weigh themselves, it is unhealthy, because it does things like discourage them or cause them to avoid foods they actually need. Most people have some ideal weight in their minds that they are constantly aware of. Maybe it is a weight they associate with a romanticized memory of young adulthood. Maybe it is from a chart they saw once. Possibly, it is even based on the purported “perfect” weight of someone admired. Surely we can admit all such comparative measures of weight are unrealistic and probably invalid. Instead, shouldn’t we put our energy into things that really make a difference in health, and let “weight” fall into place, so-to-speak? 1. Eat a balanced, healthy diet. It isn’t rocket science, but if you’d like some encouragement in that area, I suggest reading this article on basic nutritional principles. The idea of a balanced diet should include the acceptance of eating according to the approximate caloric needs. The body sends convenient signals that are not too hard to learn and can be distinguished from uncontrolled appetite. If you need a review of the energy value of certain foods, keep records for a few days. Learn how to compare the nutritional and caloric values of oranges and potato chips, but chances are that after doing that for a short while, you will be able to make much more thoughtful choices about food. Predominantly eat things that satisfy hunger and make you feel physically strong, as well as leave you feeling fueled to be productive. Anticipating the coffee crowd, I will try to clarify not “stimulated”, but fueled. Nothing wrong with coffee, but that’s not what we are talking about. If you have a food group that you know you tend to over indulge in, come up with strategies for replacing (only if it is a non-essential food group) or moderating it. Have alternatives for what to eat or what to do. Don’t be afraid to ignore food fads, fad diets, government nutritional “advice,” and the newest nutritional studies. 2. Get the amount of sleep your body seems to really need on a regular basis, to the honest best of your ability. You probably know about what that is, but it can vary with activity or stressors in life. First of all, tiredness is one of the times a person is most susceptible to poor choices. Additionally, lack of rest tends to make a body function in stress mode and with less mental acuity. It’s plain no fun. 3. Include some sort of regular motion in your routines. Whether it be housecleaning, yard work, running, swimming, or something like dancing, find at least a couple of activities that you can engage in that stimulate your physical systems, make you breathe, and increase your circulation. It doesn’t have to be competitive or even officially recognized as exercise to be healthy. It just needs to include movement. Our bodies need to move some. 4. Maintain a level of cleanliness that inhibits the establishment or growth of pathogens. While some exposure to “dirt” is conceded to stimulate the immune system, being “dirty” on a regular and ongoing basis is known to create fertile conditions for disease. Attending to these four areas of your life, with little or no attention to weighing yourself on a scale, will produce more health than attaining that magic, but usually imaginary number! If you pay attention to these factors, there is a good chance that you will firm up and slim down without even trying. Oddly, you might not “lose weight” if you gain muscle mass, depending on your original state. Another often neglected detail of feeling good about your current status is making sure your clothes fit. Frustration with feeling fat can stem from trying to fit into “desired” sizes or needing to discover what ready-made styles work with your body shape. For instance, I am a bit taller and longer waisted than the “average” woman. That means that if I try to wear any garment with a distinct waist line, it hits me at the wrong spot, usually too tightly, and I “feel fat.” Add to that the fact that I have more narrow hips than “average,” and it is a recipe for changing room crisis! I only mention my particular variations (which I talk about more in Skinny Girl Weight Loss Confessions), because those are the ones I am most familiar with. I expect there are a good many variations on the “average” that leave people feeling like they aren’t proportioned correctly, when it is really just the limitations of ready-made clothes combined with the tendency of people to buy what they think they want to fit instead of what really does. I think we can agree that there is a point at which a person can be well beyond a body weight that is comfortable and functional. A lot of extra weight probably does stress the circulatory system and make moving much more of a chore. I remember one painfully honest landlady I had back in college who was saying how hard it was to get out for exercise because it was like trying to always walk with a suitcase on each hip. (When I knew her, she was making progress in losing a significant amount of excess weight). However, too many people are hard on themselves simply because they think they are supposed to be. They (and those who love them) could and should be happy with them regardless of the “ideal” weight. It’s really not all that pleasant to be around someone who is continually worried about every pound or two fluctuation on the scale. He or she would probably be more beautiful if convinced to throw away the scale and smile more. Happiness, which is a choice, tends to bring out the beautiful in all of us. And did you know that it wasn’t that long ago that if people were on the “skinny” side, the insurance companies charged them MORE? That was because of the observation that sick people tend to waste away. Thus, to be more slender than “average” was correlated with disease and dying. The same really holds true today. It is statistically healthier to be slightly “overweight” than “underweight.” But, of course, you need to measure your weight more by how you feel and a realistic assessment in the mirror than a certain scale measurement. Ah, a realistic assessment of yourself in the mirror. What should it be based on? 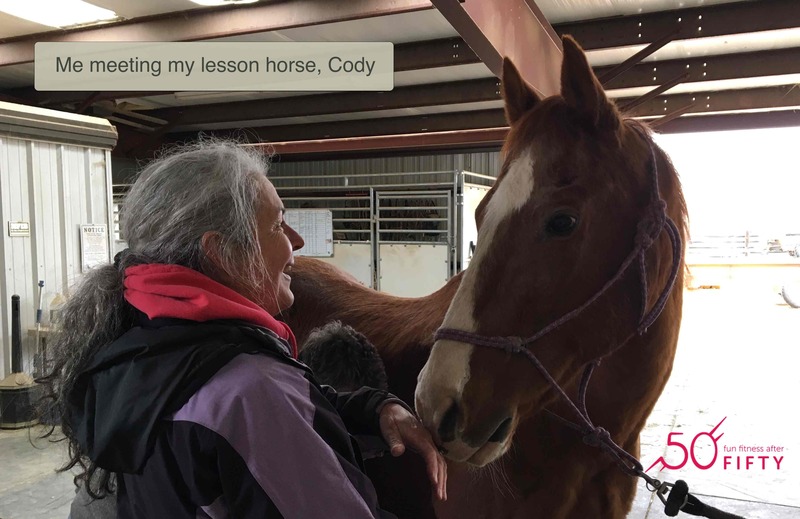 For me, it is a melding of what my husband likes, plus what I am comfortable with and can humanly attain with my current priorities and responsibilities. I will never be photoshopped in the mirror. I will never be any younger than I am now. I will always have something that could probably be improved on, but I will not be made happier by being unhappy with how much I weigh now. 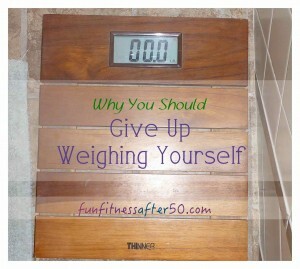 So, I have given up weighing myself, and have not done so more than a couple of times in the last few years. 1. I actually feel pretty good. 2. I DO have large bones. While some people may use that for an excuse, it is a fact for some people, and it runs in my German heritage. I do not have a slight or petite build, as my size 11 feet attest. 3. Skin turgor affects what “shows.” It happens to everyone as they age. I am not aging faster or slower than normal. 4. Fats are extremely important to hormone function. I like my hormones, overall. Just like some young women’s hormones won’t kick into gear until they let themselves gain some weight, being too thin while aging can make hormonal changes more stressful. 5. The idea of a “perfect” figure or ideal weight can be a matter of pride. Attaining some weight does not make one a more superior person. There are plenty of struggles of habit and self-control that have nothing to do with weight and are more easily hidden from sight. 6. Weight is not as much an indicator of physical ability as it is generally held to be. Apparent “muscle tone” doesn’t even tell the whole story. I have confirmed this over the last few years by observing the body types that cross the finish lines at races. At one difficult race in particular, the young woman who won with astonishing speed was like a miniature tank! And right after the race she went and refueled heavily at the snack table! I’m sure she was healthier than 99% of the men who were there. Not even reputable weight loss programs recommend constantly weighing oneself. It is too variable, too distracting, and too misleading. If you find certain times to use it as a tool, well, okay, but most people should throw out their scales. They have either already settled in a general weight range or weighing themselves is of little use in practical fitness goals. Anyway, most people are more beautiful at any weight once you get to know them, both from the glow a countenance emits when engaging with another soul and from the decreasing importance of outward appearance the more we love someone. Find a physical state in which you are happy and comfortable, and don’t worry about imaginary numbers. The words you use to discuss something, even if it is just with yourself, can have significant influence on attitude, motivation, and results. Too often the vocabulary used when speaking of building an aerobic endurance base is limited to the concepts of slow and fast. In the running world, and any other sport where participation is timed, fast is assumed to be “good,” but slow is “bad.” The truth is that slow and fast are only generally comparative terms and tell us little about the long term condition of a person and the sustainability of the acclaimed “fast” pace. This is especially true in the sphere of the recreational runner, where many times only the “fast” times are shared, with little background information or insight into repercussions a given person is dealing with in attaining a comparatively “fast” time in an event. I do not use the term recreational runner in a derogatory manner. I proudly consider myself a recreational runner. No one pays me to exercise. I do it for fun and health benefits, and no one is signing me up for magazine covers. I find the status to be rewarding and comfortable. A lot of that comfort comes from now understanding how to run within my personal ability, while at the same time reaping the rewards of increasing that ability with minimal stress. If I have been understanding what I have been reading, it is apparently something I have in common with elite runners! Judging by my results, it is working. While on one hand, people may have to be encouraged to slow down, it is only compared to a “fast” pace that is too likely some combination of both a counterproductive and injurious training pace. I say “training pace” to refer to the average and goal paces that people set for themselves. I, like many others, have succumbed in the past to the thinking that unless I am straining to my limits regularly I am not really trying hard enough and am not going to get results. Another unnecessary stressor and disappointment for many people in adopting this approach is that any run of lesser speed is a waste, and a sign of loss of previous gains. While this article is not a thorough discussion of the hows and whys of building your endurance base, let me just say for now that there is scientific reason and observational evidence to question this presumption. 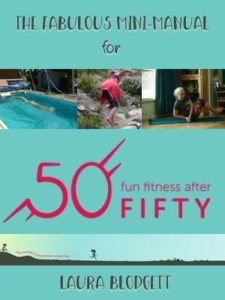 When I rediscovered the concept of aerobic base building about two years ago, I was delighted to also rediscover a revitalization of fitness enjoyment. Still, the ideas of “slow” and “fast” are so engrained that it can be helpful to expand and refine the vocabulary regarding exercise. So, what positive words and concepts should we use when making our goals, engaging in our activities, or explaining the benefits to others? Here are a few suggestions. 1. Stimulatingly comfortable effort. Obviously if you are going to be running, or moving in any way, it is not the same as sitting on the couch. It takes some effort. However, it should be a comfortable in the sense that to keep going is more a matter of easy choice and less a sense of desperation to be done. 2. Maintainable and adjustable form. Running, or engaging in any movement, more slowly does not mean plodding. Or at least it doesn’t have to and should soon progress beyond any problems with that. Working at paces and speeds that allow you to think about your form allow you to be more naturally light footed, in the case of running. For something like swimming, it gives the time necessary to manage balance in the water, make better use of stroke power, and breathe in a realistic manner. Pushing your speed limits all the time or for long distances will usually lead to moving in what I think of as survival mode, wherein the mind and body pay little attention to being careful and efficient. 4. Keeping adequate oxygen intake. 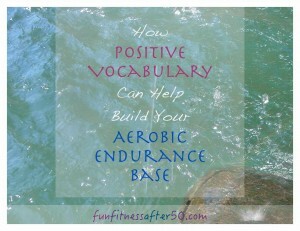 Aerobic endurance is built on ability to utilize oxygen. To increase the ability, you need to let the body gradually adapt to increased need for consumption of oxygen. If you are constantly pushing to anaerobic levels, you are not building the aerobic system, but kicking the body into gear to deal with anaerobic stress. The body can only do that for a very limited time. 5. Having fun within current limits. No one should feel discouraged because their current limits are different than someone else’s. Current limits are a very changeable thing for everyone over time anyway. No one is always at their peak, whatever their idea of that is. No one has started from the same exact place as you, or has to deal with the exact same set of life variables. Enjoy what you can do at any given moment! 6. Gradually testing limits and increasing effort. You don’t become a great dancer the first time you step out on the floor, no matter what beautiful moves you can envision in your head. It takes consistent repetition of movements and a gradual strengthening of the body to allow it to do what the mind would like. You can’t just be a better dancer by dancing faster. And you will probably hurt yourself if you try. It’s really not that different with any movement. All movements are a type of dance, a coordination of form and physics, with a different array of muscles and in various environments. 7. Being wise with complications. Inconveniences, such as injuries and illness are a part of life. Whether you have found your limits and suffered a set back, or have to take time off to help someone else in need, there is no reason to give up or expect to start in exactly the same place you were before. An understanding of the benefits of comfortable effort can get you right back to enjoying your activities instead of spending a lot of time depressed by what you were able to do “before.” Chances are that all your previous consistency in endurance base building has left you stronger than you think, too. If you speak to yourself in these or similarly positive terms, you will probably feel more encouraged about all your physical activities. It may also help you have responses for those who might, however unintentionally, discourage you with comments like“those slow joggers,” or any opinions that since we aren’t Olympians our efforts are less meaningful. 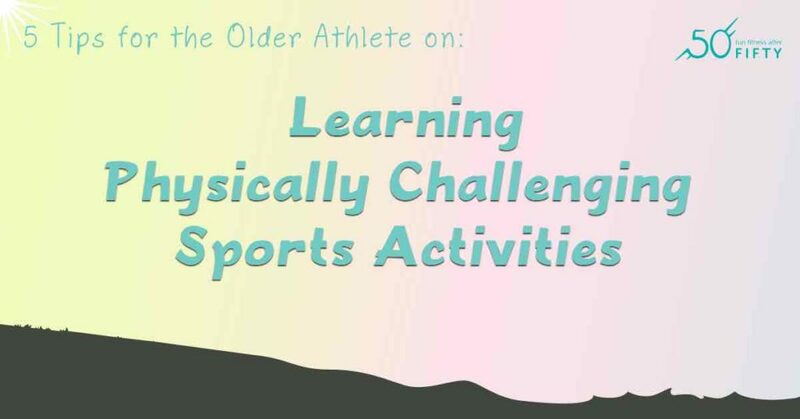 Our physical activity is very meaningful to each of us individually. No one else’s exercising needs to make a difference in how we feel in our bodies enjoying the God-given ability to move.